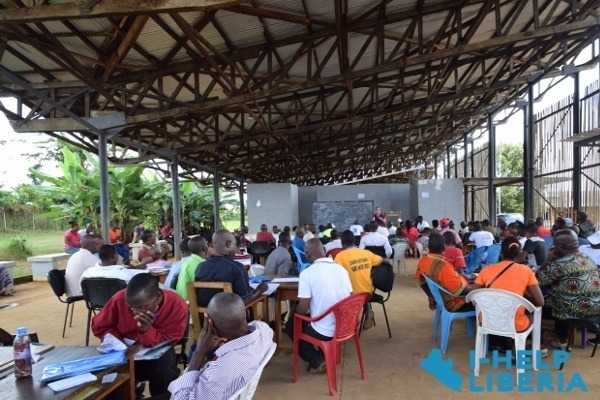 Fundraiser by Andrew Obus : Help us train teachers in Liberia! Help us train teachers in Liberia! 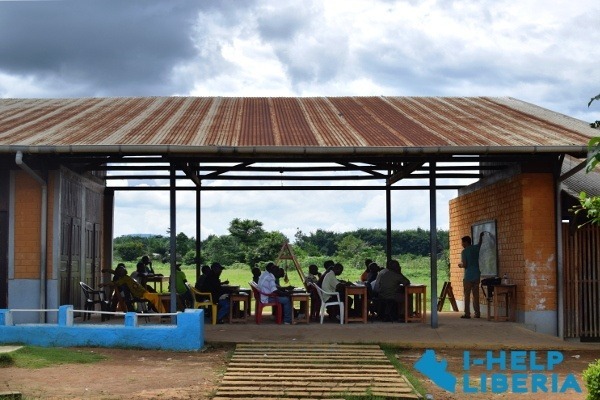 We are the I-HELP Liberia Project, a 501(c)(3) nonprofit started out of Hunter College High School in New York City. 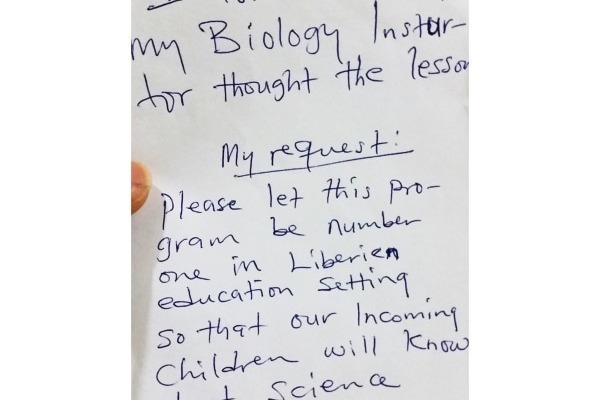 We need your help to run a science and math workshop in Liberia this summer! 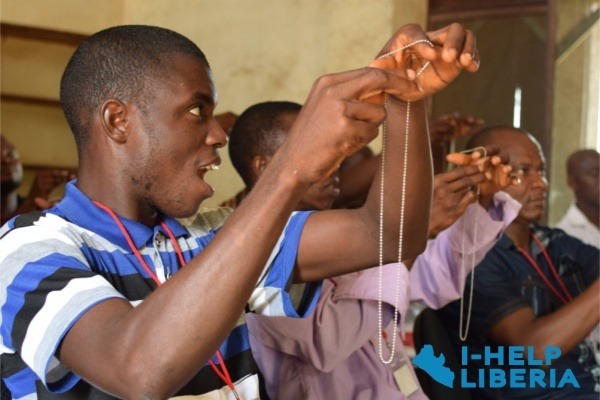 The I-HELP Liberia Project started when a group of us were inspired by our own science teacher at Hunter College High School, Mr. Asumana Jabateh Randolph, who touched our lives in a way that few teachers can. His empathy and care for others was contagious. For years he collected books, school supplies and lab equipment to send back to his home country of Liberia, and he encouraged us to get involved as well. Now that we are further along in our careers as scientists and engineers, we want to share our expertise with Liberian teachers, who struggle with extremely limited resources and opportunities to expand their knowledge. The all-Hunter core team of the I-HELP Liberia Project is: Asumana Jabateh Randolph, Dr. Adam Cohen (HCHS '97), Dr. Benjamin Rapoport (HCHS '99), Dr. Andrew Obus (HCHS '99), Dr. Michael Frank (HCHS '99), Dr. David Bauer (HCHS '05), Heidi Baumgartner Komkov (HCHS '10), and Edward Zhou (HCHS '16). 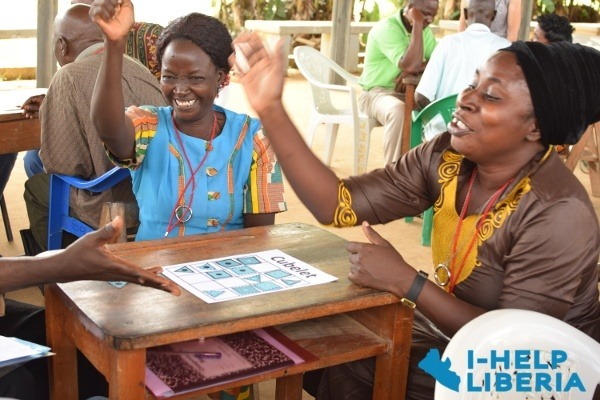 Liberian teachers celebrate after a round of a pattern-matching logic game made out of paper, in a round of icebreakers at our summer 2017 workshop. With 65% of Liberia’s population under 18, it is critical to invest in education now. Liberia is well-endowed with natural resources, and it’s essential to equip the nation’s young people to take charge of their future. In particular, scientific and quantitative literacy are crucial elements in Liberia’s economic development and independence from foreign aid. Students with a good command of science and math will be the inventors, entrepreneurs, doctors, and teachers of tomorrow. Physics teachers are transfixed by a ring-and-chain trick demonstrating the principle of angular momentum, taught by DaNel Hogan of the STEMAZing Project . Dr. Andrew Obus teaches math to teachers in an open-air classroom at Ganta Public School. The rain that started 10 minutes after this photo was taken forced the lesson to pause! If a school has any laboratory equipment, it is often locked away for fear of theft of misuse. Textbooks are often unavailable. Most importantly, many teachers have not been adequately trained in their fields. Science teachers, especially, often do not have the quantitative skills necessary to teach problem solving in their subjects. Teachers struggle to convey the practical applications of science to students, instead resorting to rote memorization. As a result, Liberian students fail standard West African examinations en masse. It does not need to be this way! The science fair on the last day of our teacher training workshop in June 2017 was a big hit, and showed participants methods to get their own students to explore and learn about the world around them. 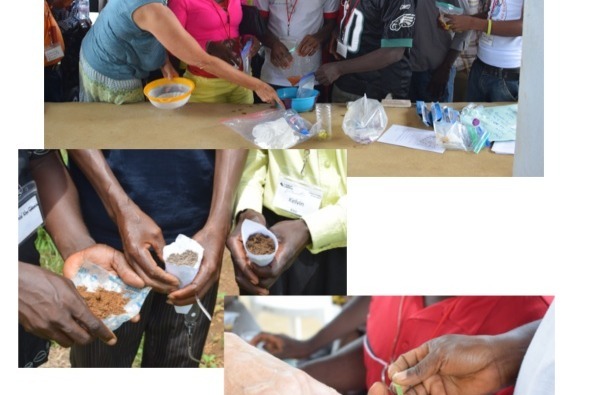 Margaret Wilch, biology teacher from Tuscon Magnet High School, shows workshop participants how to analyze soil pH. 2018 marks the 10th year of the I-HELP Liberia Project as a nonprofit organization. Over these years our activities have evolved from primarily donating books and lab equipment to working directly with teachers to reach the most students. Our most recent trip to Liberia was in the summer of 2017, when our team of five volunteers (Andrew Obus, Nancy Spillane, DaNel Hogan, Margaret Wilch, Heidi Komkov) worked with physics, chemistry, biology and math teachers at Ganta Public School in Nimba County. We packed every day with practical exercises and demonstrations that teachers could replicate in their own classrooms. The workshop culminated in a science fair, where the teachers presented their own independent research projects. It was the first time many of them had designed and carried out an experiment, and showed them powerful methods to guide their students through self-learning. 80 Liberian participants gather in the main auditorium at Ganta Public School to work on science projects. The experience had such great impact that when it was time to say goodbye on the last day of the workshop, our volunteers were in tears! Due to the difficulty Liberian teachers have in obtaining any specialized equipment and materials, we always use locally sourceable supplies, or ones available at very low cost. For example, we wanted all of the teachers we worked with to have a microscope, but we did not find any commercially available that were at high quality at a low enough cost. So, we designed our own, called the Pocket Microscope (check it out on Instructables!). If you have a 3D printer, you can make your own Pocket Microscope with just $1 of parts. Volunteers 3D printed 100 microscopes for our workshop last year, and teachers absolutely loved them. 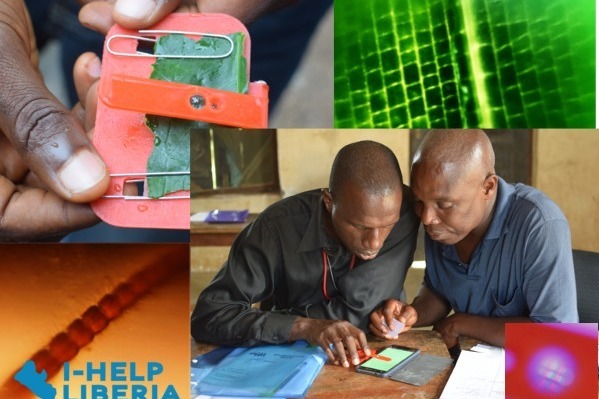 I-HELP Liberia team member Heidi Komkov designed a $1 3D printed Pocket Microscope that opens up the microscopic world at a low cost. We have also engaged with students directly through organizing math and science competitions. The Science Bowl and Math Olympiad competitions are now held annually in partnership with the Liberian Ministry of Education. Student volunteers at Hunter College High School supply the questions, and the I-HELP Liberia Project supplies buzzers and contest prizes. High school student teams compete for prizes in a science bowl competition at Ganta Public School in July 2017. Organizing competitions has been a relatively low-cost way to reach out to hundreds of students at a time for a day of science, math, and fun. Once Liberian facilitators learn the rules and see how the competition is run, they are prepared to perpetuate it themselves! We collect daily comment cards during our workshop, and many of them have requests for this type of workshop to continue for longer and more often. Our workshop participants are extremely enthusiastic and eager to increase their knowledge. Indeed, the one comment we consistently receive from our workshop participants is a request for more training (often, a single teacher will make this comment in writing every day of the workshop!). Several teachers walked for *days* to attend the workshop. We receive countless emails and Facebook messages asking when we will return. We need your donations to continue our teacher training workshops this June! We keep our costs down by working with partners on the ground that provide support and rent-free workshop spaces. Several American volunteers will be funding their own travel and lodging costs. Liberian workshop participants from out of town stay with locals. We focus on using inexpensive locally sourced materials for our laboratory activities, rather than any expensive laboratory equipment. Please consider making a tax-deductible donation and helping us reach our goal! Interested in volunteering? 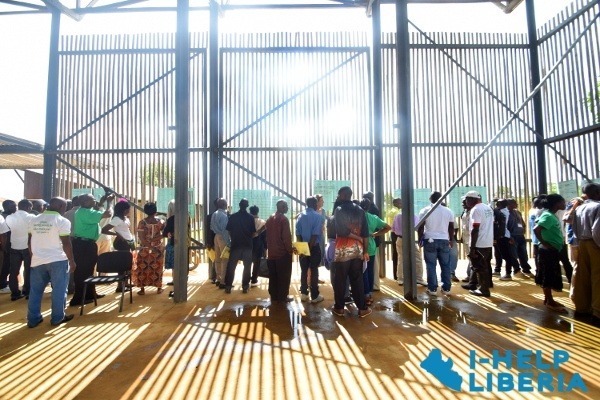 Email us at admin@ihelpliberia.org! Want to keep in touch? Join our mailing list!